I took a lot of fun watching all of your drawings. Thank you for sharing. Your inspirations are always so creative! This is great! Debra-these look so great! 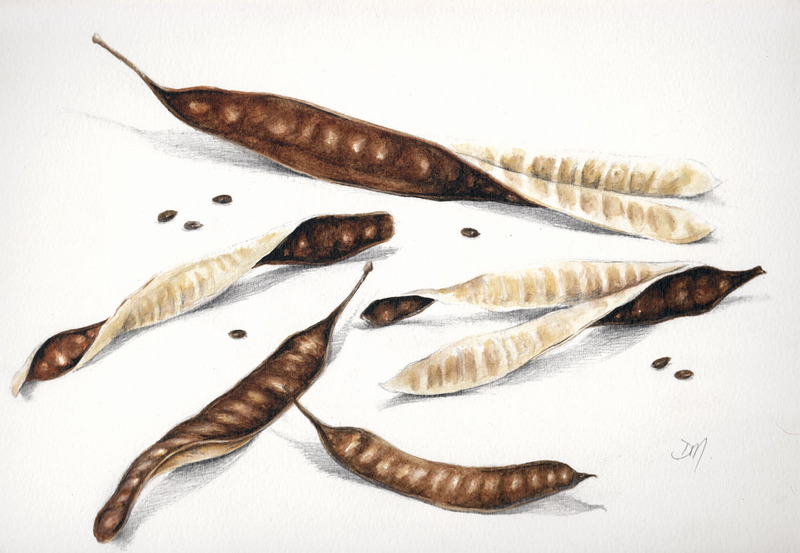 I love seed pods and these are just perfect. Another lovely painting with seeds, I love how you let them spill on the floor. Nice muted colors and detail in this sketch! Very nicely done! They look terrific. So gorgeous! I love the simple detail. Love how they folded open like that, and the textures on the cases are just so well drawn!